Escape to this very well maintained and updated Cape Cod set back on private 5.5 ac. w/2010 built, top of the line 30 x 40 Morton Pole Barn. Walk into the open Great Room with floor to ceiling fieldstone Gas FP that is open to large fully stainless applianced Kitchen/Dinette with island and patio door to back yard. Main Lev. Master w/huge WIC with make up table. There is laundry and full bath also on the main level. The upper level has open loft to Great Rm. and includes 2 BRs both w/WIC’s and updated Full BA. There is a new Rec-Room and recently updated mechanicals. This 2006 built New England Colonial has a big 39’x6’ raised front porch and is set on a 1/2+ acre lot with view of park/pond. You enter the home to a large 2 story Foyer with open staircase, Guest Closet and half bath. Main Floor has 9’ ceilings and wood plank flooring throughout. The Foyer splits the Formal Dining Room with trayed ceiling and Living Room with Gas Fireplace. 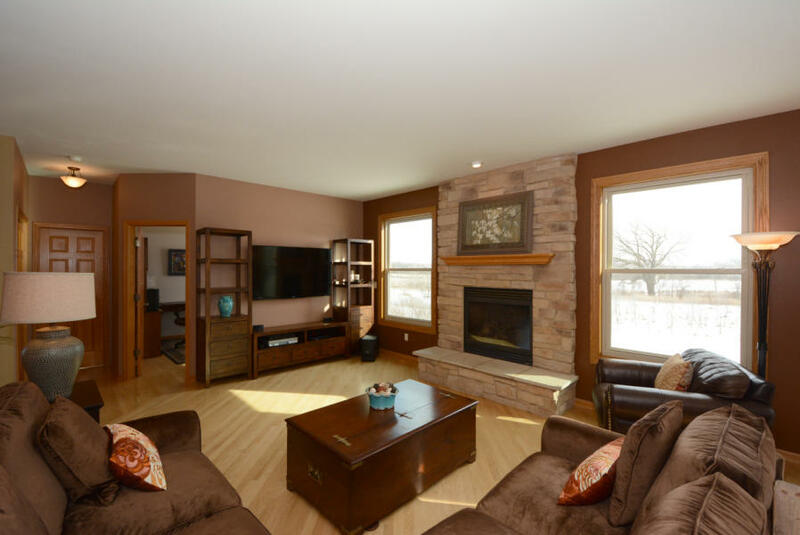 A large Family Room with Gas Fireplace has walk-out to rear deck & patio. A main level Master Suite has large walk-in-closet and tiled Master Bath with long double vanity, Whirlpool Tub and Shower Stall. The Kitchen boasts granite counters over custom maple cabinets, Island, Walk-in-Pantry and Breakfast Room. Laundry/Mud Rm is off the Kitchen. Second Floor has 2 Bedrooms and full bath. A large 3rd room suite is comprised of 3 open areas that includes a two-way Fireplace and Full bath. The Lower Level with full sized windows is ready to be finished for extra living and or entertainment space. Check out our virtual tour of Gray Fox below. Beautiful 5 bedroom home in Broken Hill Subdivision. Newly remodeled bright Kitchen w/high end appliances, wood floors, granite center island, and dinette. Family room with cozy gas fireplace. Additional office, dining room & bedroom with den with remodeled full bath with tile shower completes the main level. Upper level master suite with spa-like bath with double sinks & whirlpool. Lower level family room features bar/kitchenette. Security system, sprinkler system, central vac, speakers. Subdivision pool, clubhouse & walking trails. Great spacious 1st floor one bedroom unit with all new carpet and freshly painted throughout. 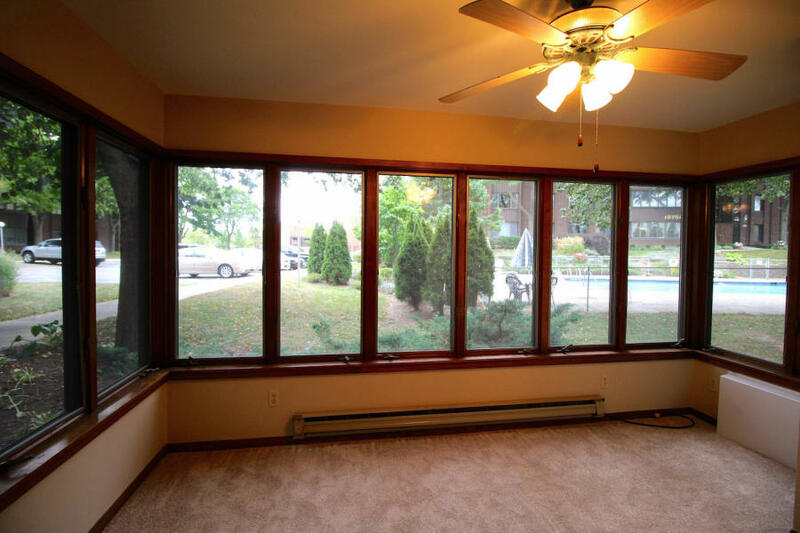 Unit has big living/dining room area with natural fireplace. A large full bath with double vanity has SOT and private water closet. Laundry is off Kitchen area and unit also has 1 car heated underground parking and storage locker that is included. Nice outdoor pool and cabana to relax during the warm months. Fantastic top floor condo with beautiful wood flooring throughout the main living area. Large kitchen with lots of storage and prep space. In-unit laundry. Large windows throughout that lets the natural light pour in. 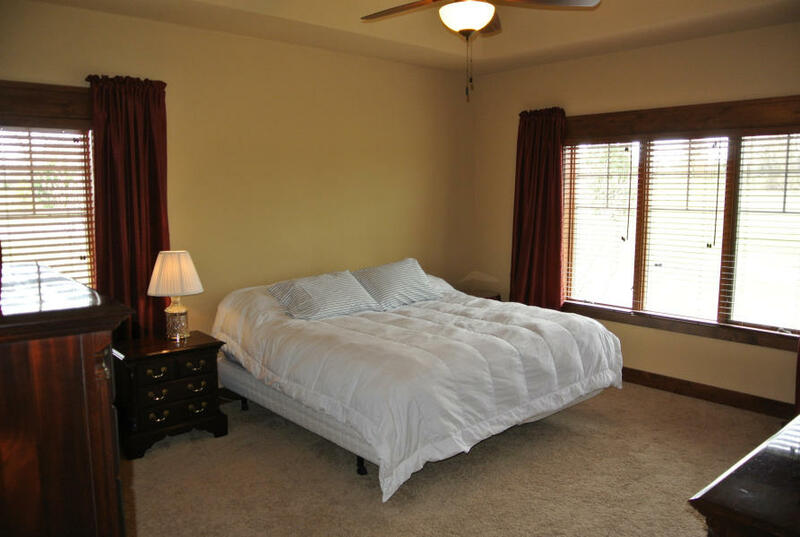 Wonderfully large master bedroom that has an amazing double walk-in closet. Renovated Cape Cod with 4 bedrooms and 2 baths. Refinished hardwood floors, built in dinette in dining room, new kitchen and stainless steel appliances. New flooring and paint throughout, new gutters, roof mechanicals in 2013, water heater replaced in 2015, corner lot with 3 car garage. Short walking distance to parks, schools and Lake Michigan bike path. easy downtown Milwaukee access. Stunning refurbished home in the heart of BayView. 5 Bedrooms with a three season room and two full baths make this the perfect home for a growing family. 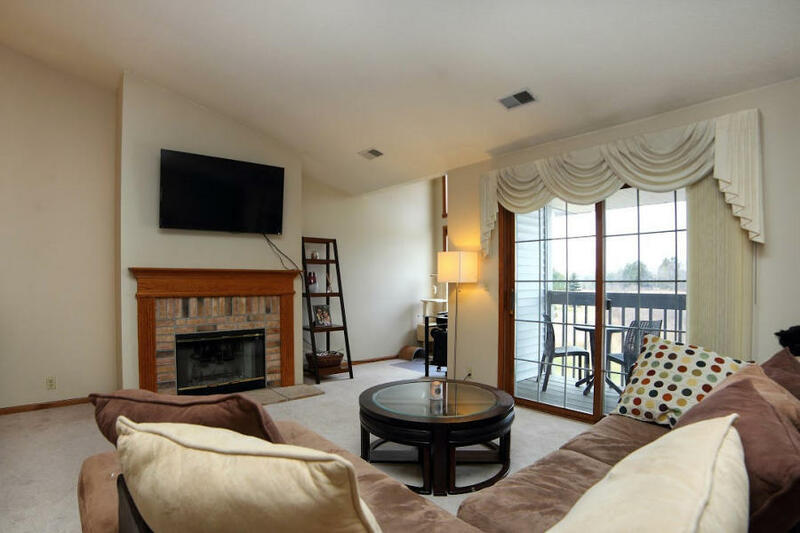 Fantastic second level updated Pewaukee condo! Spacious open concept layout with vaulted ceilings throughout living room & kitchen featuring gas fireplace, breakfast bar & Den space. 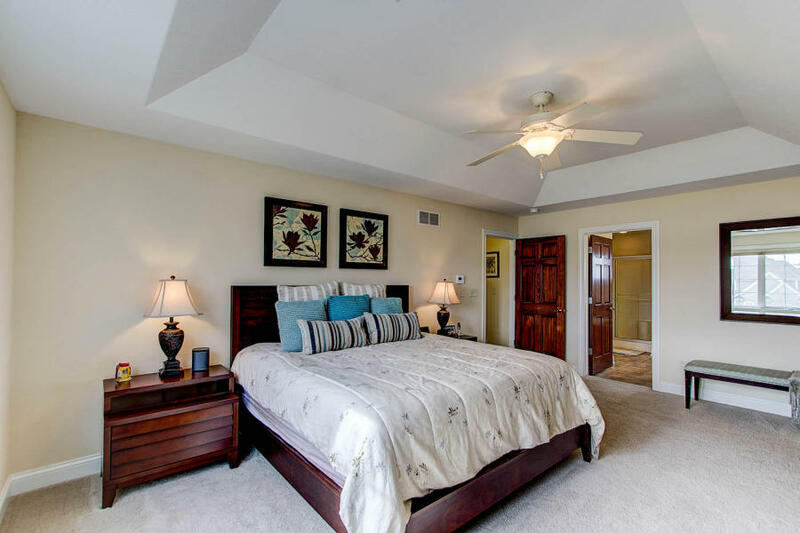 Two generous sized bedrooms with ample closet space & master bath. In-unit laundry & newer flooring in kitchen & dining room make this a must see! One car garage with extra storage space as well as parking space. Spacious Ranch style condo on private setting with open layout, offers volumed ceilings and quality finishes throughout. Incredible window filled sun room with hardwood floors is off the granite countered eat-in kitchen with hardwood floors and vaulted ceilings. Large open great room and formal dining room share french doors that would out to screened in porch. Large master suite with WIC and private door to porch, Den/BR & full bath & laundry on main level. Unit boats LL with full sized windows and includes two bedrooms, and third full bath with hot tub. Upscale home in an upscale subdivision is this 5 bedroom Cape. Enter Grand Foyer with marble floors and open staircase. Open great room leads to bright sun room that is off eat-in kitchen with island. Both walk out to deck overlooking beautiful gardens and wooded ravine. Large formal dining room with BICC, main level laundry, full bath and fifth bedroom. Upper bedrooms all have volumed ceilings. Large master suite with gas fireplace, venetian plaster walls and sky lit master bathroom includes WPT, SS, WIC, Double vanity and private deck. Welcome home to this absolutely amazing contemporary, 2 story home. This home has all the space that you've been looking for with four large bedrooms, a main floor office and a beautifully finished, partially exposed lower level complete with bar, pool table, and full bath. 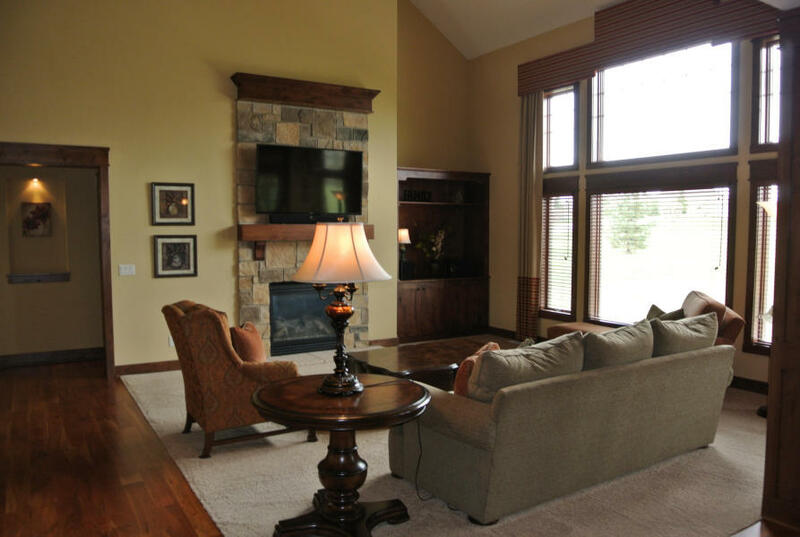 As you enter the front door you will be immediately drawn through the large foyer into the spacious great room with gas fireplace and stunning views of the conservancy and Fox River. Nice side-by-side Townhouse Condo rental boasts new roof & siding. Set on a cul de sac and close to park and shopping. Open concept floor plan offers HWF and high ceilings throughout most of main level. 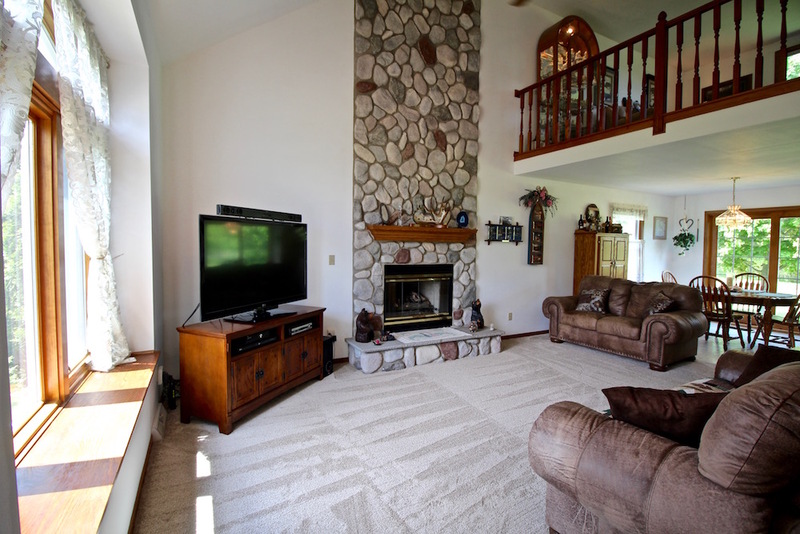 Living Room offers fireplace with gas starter, wet bar, and patio door leading to deck. Main level master suite with brand new carpet and large Master Bath with big WIC, double vanity and shower over whirlpool tub! Fully updated Ranch on level half acre lot. Move in Ready, Entry with nice ceramic tile and updated front door into large comfortable living room. 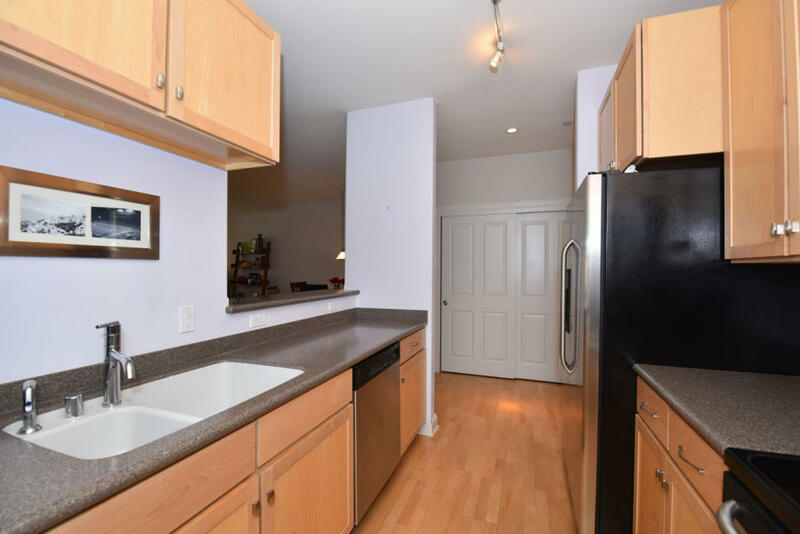 Spacious 1 year old remodeled kitchen with new hardwood floors and cabinetry. Kitchen also has nice pantry & walk out patio door. Spacious light filled room with updated half bath has hardwood floors and a door leading to backyard. All 3 bedrooms have hardwood floors. A nice updated patio, fenced garden & garden shed. Immaculate 1st floor unit at the Watermark Condos has nice high end finishes thru-out and includes a private entry and patio from kitchen. Beautiful master suite has a large custom WIC, bath with big walk in shower, double vanity & walk in linen closet. Large open great room is window filled with gas fireplace and hardwood floors throughout. Open Kitchen with granite counters and breakfast bar has custom cabinetry & fully applianced. Updated and maintained colonial with Large fenced backyard with brick patio in prime Brookfield location. 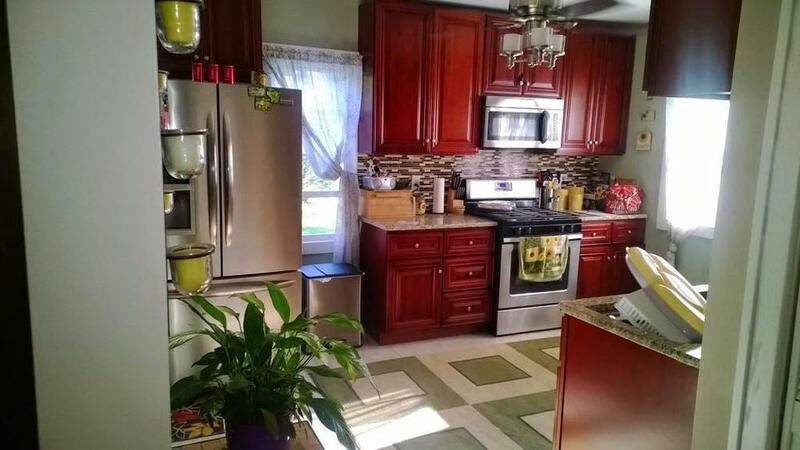 This home has all new mechanicals, appliances, carpet and refinished HWFs in the last four years. All windows replaced in 2006. Main level has a formal living room, dining room combo, kitchen is open to family room with gas fireplace that steps into sun room. Main level Den & Laundry. Stunning Georgian Colonial situated on Picturesque lot at the top of a Private Cul De Sac with striking circle drive. Open staircase, outstanding floor plan, amazing windows, two fireplaces & spectacular sun room. Sparking Kitchen with wonderful cabinet space & loads of counter tops along with sunlit dinette and great views of the beautifully landscaped yard opens to spacious family room with fireplace. Nice 2/2 duplex located on quiet dead end street with park across the street and Collectivo a short walk away. Great investor buy with long term tenants. Great charm and detail throughout each unit. Each unit has applianced Kitchens with walk in pantries and big formal dining rooms with built in china cabinets. Updated full baths and separate utilities for each unit. Private drive with 2 car garage. New front porch and stairs on lower unit. A transformed charming bungalow sits on an extra large fenced yard! As you enter the spacious foyer it leads to open Living Room and Formal Dining room with covered plaster ceilings and HWF's. Living Room boasts a large bay windows overlooking quiet neighborhood. A large kitchen with new counters and plenty of prep space. Remodeled full bath with Kohler fixtures is between two large bedrooms with good sized closets. Upper level was completely remodeled in 2011 to add two more bedrooms and full bath. This gem in desirable Clovernook has been remodeled top to bottom with no detail being overlooked. The top of the line cook's kitchen, 2 way fireplace, main floor laundry with Bosch appliances, finished Lower Level has a fully equipped workout area with AV & Plasma TV included, game room & workshop. Home also has a newer roof, windows, electrical and mechanicals. The nicely landscaped yard boasts a bluestone patio, 8 person luxury hot tub and storage shed. Close to schools& shopping. Smart, sophisticated loft condo at the Shoeworks lofts in Brewers Hill. Open concept with large great room off the upgraded kitchen. 14ft ceilings with floor to ceiling windows and hardwood floors. 2 big bedrooms with 2 baths, 2 parking spots. New Carpet in Living Room, Dining Room, & Family Room. 3 Bedrooms and one and one half bath ranch home. 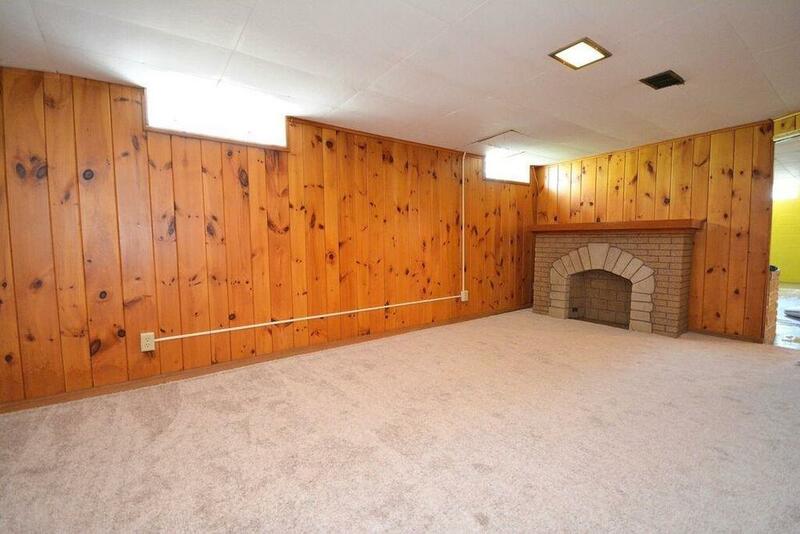 Fenced yard, finished recreation room with large fireplace in basement. Newly painted, clean & ready for an immediate move in. Improvements include furnace, windows and roof. Great location. Wonderful home for the first time buyer in a great location just steps from Wauwatosa. Mint condition with gleaming hardwood floors throughout. Bright living room opens to formal dining room with built-in china cabinets. Nicely updated eat-in kitchen overlooks charming backyard. 3 nice sized bedrooms & lovely original bath complete for the first floor. Excellent entertaining space in the finished lower level with artificial fireplace and 2nd full bath. Set on a cul de sac of very fine homes is this beautiful open concept 2 story home with full sized windowed finished lower level. this home exudes light from windows in every room. 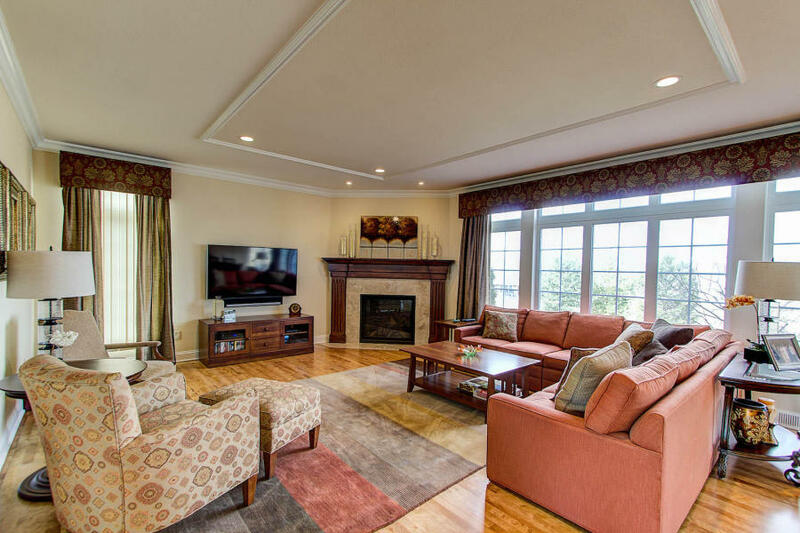 As you enter the home you step into the Large Living Room with vaulted ceiling & fireplace. The open Kitchen with Granite Counters offers plenty of storage, breakfast bar area and updated stainless steel appliances. You will get panoramic views of the large beautiful landscaped yard and deck from spacious dinette. 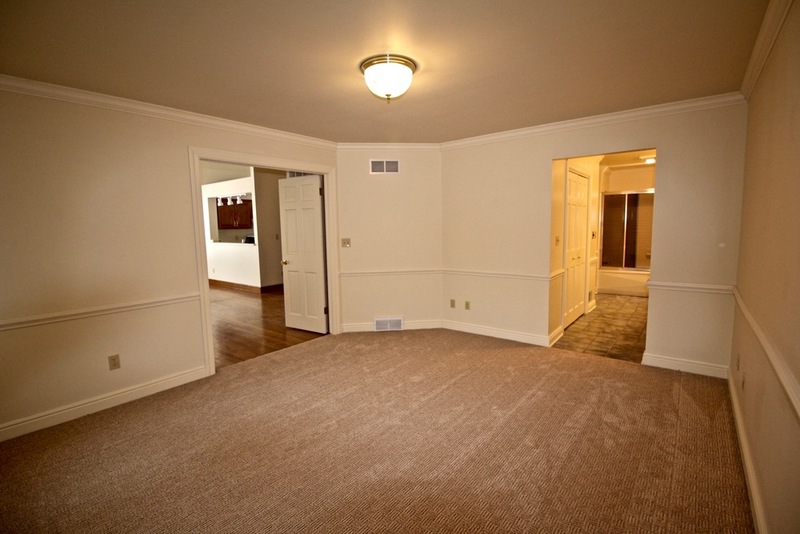 Off the Kitchen is the carpeted formal dining room that is being used as a Den. You have a large Mud Room and Laundry off the 2.75 car attached Garage. 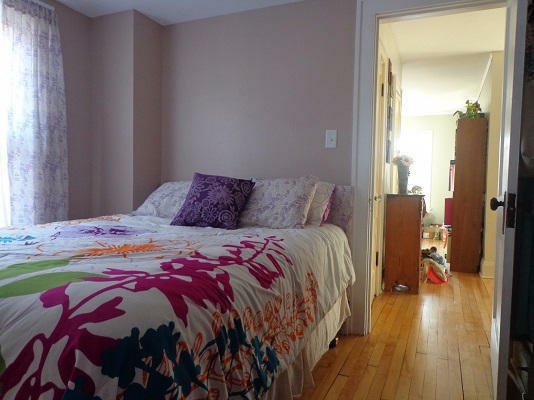 Upper level has 2 bedrooms with nice sized closets, shared full bath & large windows. A private hall leads to the very nice Master Suite with vaulted ceiling, Walk In Closet & big bay window overlooking the beautiful private backyard. Master ensuite has been completely remodeled with Granite countered Double Vanity and Large Tiled Walk-in Shower. Finished Lower Level with Full Sized Windows offers plenty of light in large finished Family Room & 4th Bedroom. There is a Full Bath & areas for a work shop & storage. Fabulous back yard with beautiful deck is what will make your mind up. You can relax in the yard or sit on the deck & overlook the privacy of this space! Truly a must see! 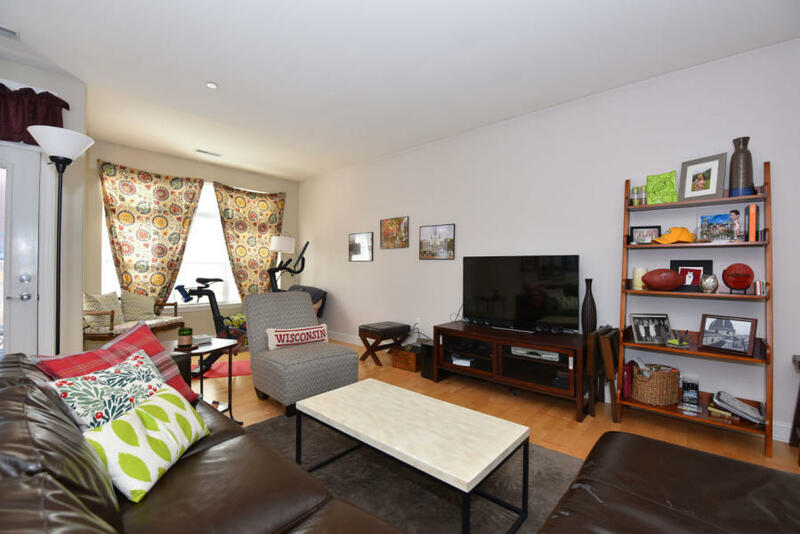 Clean Townhouse styled condo located across from Park and Bike trails. This unit with 1.5 car attached garage and large fenced in deck area to the private entrance. 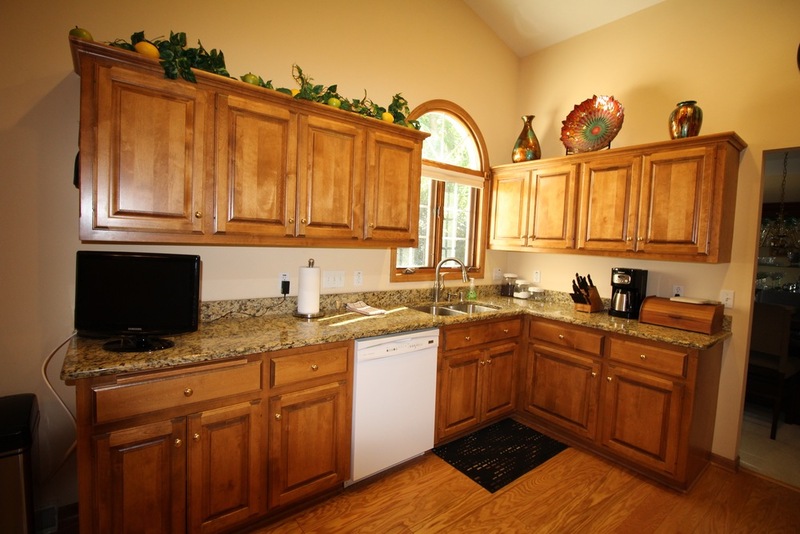 A nice sun filled Kitchen is fully applianced and has a breakfast bar open to the formal Dining Room. A big Living Room has a Natural Fireplace and twin lighted bookcases. Upper level boasts two nice sized bedrooms and two full baths. The Master Suite includes a big Walk In Closet and ensuite bath. Lower Level basement area has a Recreation Room & space for Laundry and Storage. Recent updates include a newer furnace, roof and siding. You have two guest parking spaces in addition to the garage. It may not be brand new but there's barely a scuff on this well built and extraordinarily well kept seven year old home. This home was designed, built, and tested to meet the strict Energy Star standards. The stove, refrigerator, & water softener are included. The lower level is ready to finish to your liking with the rough plumbing for a half bath and an egress window. Wonderfully Updated Stone Bungalow! Walking distance to all the Hot Spots! This great 3 BR 2 Bath bungalow has many great features/updates! 2nd level is a new Master Suite with Sitting area, large closets, and full bath with walk in Shower. Main floor has great living space with beautiful detailing! 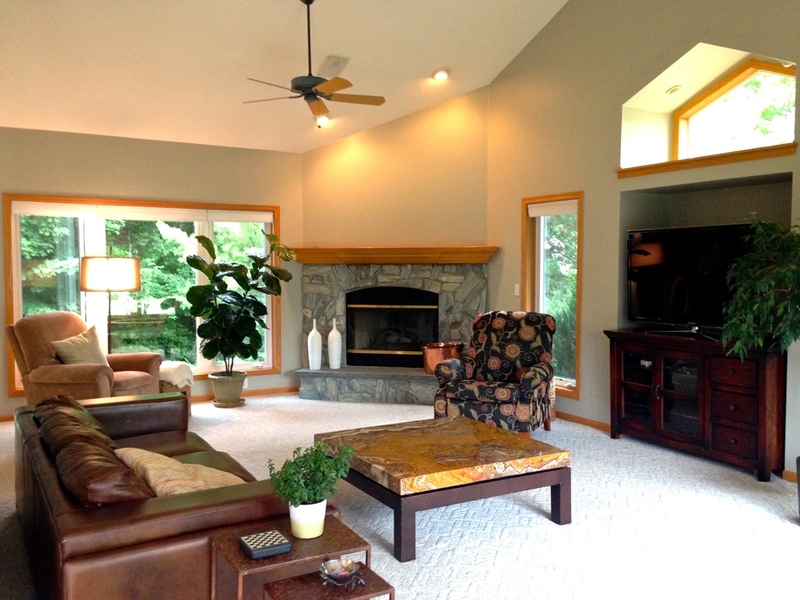 Stone artificial fireplace, covered ceilings, hardwood floors, built in cabinets. Kitchen with plumbed center island! This nicely updated Townhouse styled end unit in Mallard Pointe Condos is located on a cul de sac that has the feel of a country setting, yet being in the city. This unit abuts up to a large conservancy area. As you walk into the Great Room, you will enjoy the nice laminated wood flooring throughout the main level, gas fireplace and walk out to deck area overlooking conservancy. The fully applianced open Kitchen has a breakfast bar and abundant counter space. There is large half bath off the Great Room/Kitchen Area. The larger lower level recreation area is pre-wired for sound and has full sized windows brining lots of light into the space that offers a place to relax, work or play. There is extra storage space in the lower level and a newer energy efficient Tankless Water Heater, Reverse Osmosis system and Water Softener. The upper level has a Master Suite with conservancy views that includes double closets and nice ensuite bath. There are 2 more bedrooms, a full bath with shower over tub and a convenient full sized laundry space. You have views of the conservancy from every level of this unit; yet still being close to all major shopping conveniences and schools. Great 2/2 duplex in Bay View area close to Humboldt Park and elementary school. Low maintenance brick exterior with all new soffit, fascia, gutters, and siding on upper portion. Two new furnaces just installed and the roof is about 6 years old. Large fenced backyard with alley entrance and parking slab. Enjoy hardwood floors, natural woodwork, separate utilities, and basement with storage areas. Only a transfer brings this spectacular former Victory Homes model to market so soon. All of the finished and flourished you have come to expect. Super open concept living. Beautiful kitchen with the bells and whistles for the chef in your family! Two story GR plus a lofted 2nd floor with 3 BR's, bath & an abundance of closet space. Master suite plus private bath are in popular demand and found here. Sunroom w/stained concrete floor. When considering your next home think about 5 bedrooms, 3.5 baths, finished basement, and large kitchen with center island, pantry, mud room & plenty of room to entertain. 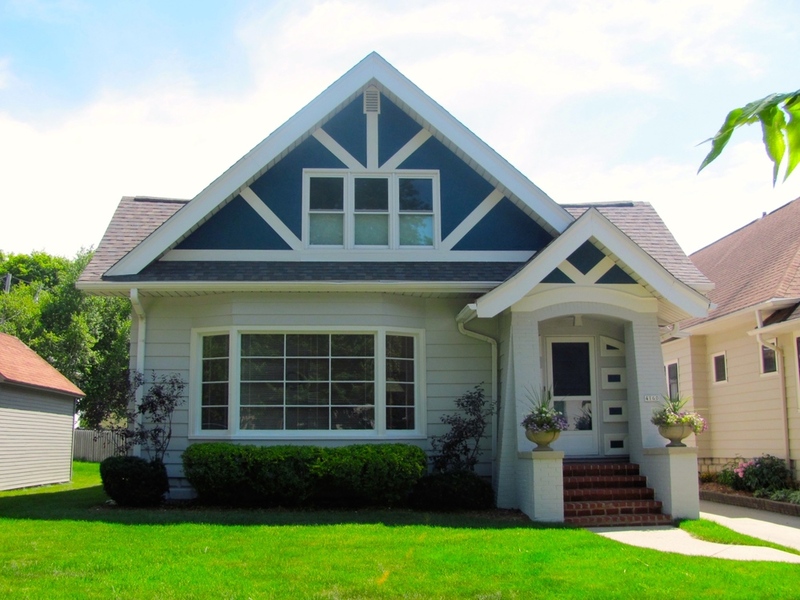 This charming 'green built' 2 story Pabst home offers this and muc more. Brazilian Cherry floors, beautifully tiled back splash in the kitchen, large patio, sprinkler system & 3 car garage. Sounds too good to be true! Expansive walkout ranch on wooded 1.22 acre hillside retreat! Open concept living room/dining combo with beamed cathedral ceilings, fireplace, and wall of windows to let the light shine in. Newer cherry hardwood floors in foyer and eat-in kitchen. Enjoy the LL family room with 2nd fireplace, bar and 3rd bath. 3 bedrooms up plus 4th bedroom in walkout LL. Spacious deck outside of great room and kitchen. City Chic! Live on the River and enjoy all of the 3rd Ward activities such as art galleries, restaurants and boutiques. Sit on your private balcony and watch the sunsets and boats. Beautifully appointed two bedroom, two bath with Cherry flooring, SS appliances with a wonderful open concept for entertaining and quiet time. Start packing!! This spacious open multi-level home has had many recent updates. As you enter the large foyer you walk up to the large living room with white bricked gas fireplace. The beautiful sky lit Kitchen with a large island has glass tile back splash, stainless appliances, newer cabinets, counters and hickory floors. A large eat-in Dinette area is part of the open Kitchen area with Patio door to rear yard. There are hardwood floors throughout the upper level hallway and bedrooms that include a tiled full bath with double sinks. The large Master Suite has a nice ensuite with shower. The large open walk-out lower level family room offers a space to relax, a place to play and place to work. A newer extra deep Garage includes cabinets and room for storage. The home in last three years has had newer Pella Windows, Furnace, Central Air, Siding, Gutters and Exterior doors added. Home is now on municipal water. Fantastic 3 bedroom, 1.5 bath Ranch home located in quite neighborhood. Great floor plan, Eat-in Kitchen with breakfast bar, open to Living Room. Lower Level family room with wet bar. Lots of storage space. Enjoy your large back yard out on deck or patio. Walking distance to schools. Newer re-shingled roof. Plenty of room for everyone in this home! Loads of closet & storage. New dark Bamboo HWF throughout! Newer carpet in bedrooms & lower living. Main living freshly painted. Newer windows. H20 heater and EDO new within year. Whole house ventilation system. Nice large sun room overlooking parklike backyard and 12x24 concrete patio. Master & second bedroom have very large Walk In Closet. Lower level with huge rec room with dry bar and gas fireplace along with 2 additional finished rooms and tons of storage. Large kitchen with tubular skylights and built in buffet. HMS warranty included. Mixed use building four blocks from Sheridan Park and Lake Michigan. Front of building currently used as office, includes three rooms and half bath. Behind store front are three 1 bedroom 1 bath residential apartments. Everything has been updated including kitchens, bathrooms, drywall, flooring, woodwork, electrical & plumbing. Large parking area about 6-8 cars. Also off alley parking for tenants. Great large, private, fenced backyard for tenants. Check the location! This is your 2014 Tax Shelter at a great price. Offers first floor owner live in option with 2 second floor tenants to make the payments. 3 Car Garage with 220 wiring and separate electric box. Newer roof with 50 year warranty. 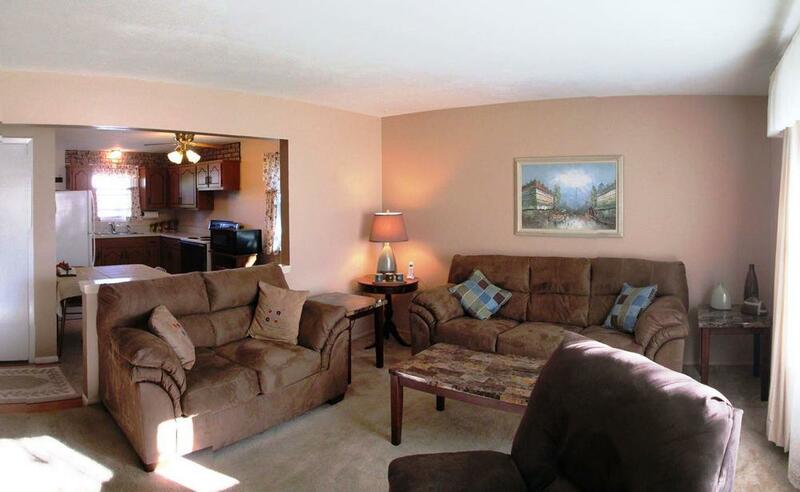 Very nice upper level 3 BR/ 2 BA unit abuts to wooded backdrop. Newly upgraded 3 car GA with epoxy coated floors on 2 spaces. The open concept floor plan has vaulted ceilings in every room. Comfortable Living Room has a GFP with walk out deck with view of woods. This unit also includes 42" Flat Screen TV, Surround Sound Speakers in wall, Receiver and DVD Player. The fully applianced Kitchen has large Breakfast Bar area open to Dining Area with walk out to 2nd deck. Large Master Suite has patio door. Updated and well maintained Colonial in desirable Cooper Park and Mount Mary neighborhood. Walk into the light filled open Living Room area with newer flooring. Updated Kitchen with newer soft close cabinets, floors and counters is just off Formal Dining Room w/BICC's, HWF's and w/o to patio. The upper level has 3 BRs all with HWF's. Nice CT full bath w/updated Vanity. BR 3 has WIC and porch access. Master w/DBL closets. Updated Windows thru-out. Large private backyard w/patio and 2 extra parking spaces w/1.5 GA.
Move in today, virtually maintenance free! This charming 4BR ranch features: open concept, eat-in kitchen, hardwood flooring, fresh paint, 4 nice sized bedrooms, partially finished lower rec room with plenty of additional storage and workshop area, entertaining patio, private fenced yard, 2.5 car garage, newer roof, all mechanicals less than 10 years old. Nearby many local conveniences, transit, parks and schools. Welcome to the neighborhood! This newer 4-5 Bedroom home in Brook Park Estates in Tow of Brookfield is available for 1 year lease. 9' Ceilings throughout the 1st level with crown molding. 4 panel doors. Nice sized Kitchen/Breakfast Room w/HWF's, includes all appliances. Granite Counters w/island and walk in Pantry. 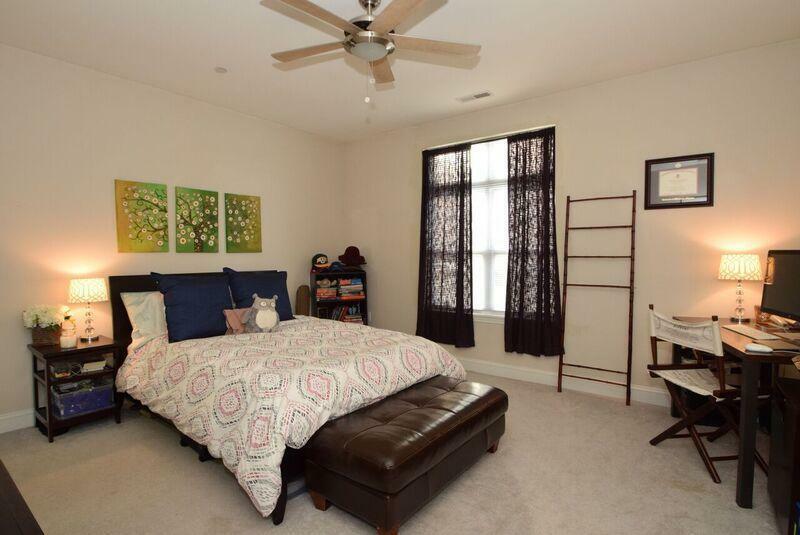 1st Floor Master Suite w/HWF's large walk in closet and view of Pond across street. Master Bath includes Shower Stall, Kohler WPT, Double Vanity with Tiled Floor. Much much more. Home is across from park with pond. Close to bike trails and park is this well kept Ranch on 1+ acre w/ wooded back drop in back yard. You enter the home to bright formal Living Room and Dining Room areas. A spacious Family Room with GFP that steps down off the nice eat-in Kitchen w/walk out to large deck to enjoy views and privacy. Main level laundry w/walk out to deck. Large Master BR has dual entry to full Bath, Large 2nd & 3rd BRs all on main level. Large finished rec room, Office and workshop are in the LL. Updates: Roof 4 years & Furnace 6 years.